It may or may not be surprising to find out that both terms Kinderwhore and Riot Grrrl originated in conversations about my life between Kurt Cobain and myself. 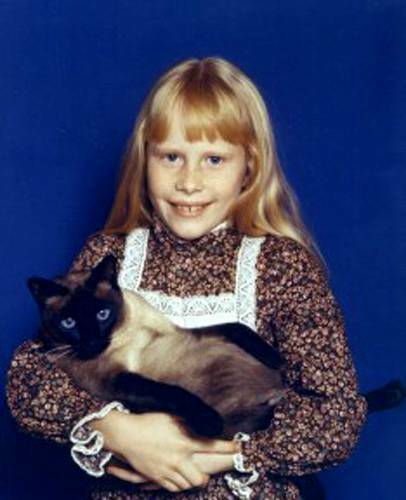 Kurt came up with the band name Amy Carter and the idea for a zine “I [Heart] Amy Carter”. The band members consisted of Tammy Rae, Kathleen Hanna, and Heidi Aborgast. In 1991 Nirvana released the song On A Plain written in reference to President Jimmy Carter’s home town of Plains, Georgia. Kurt does not have a sister named Kimberly Dawn. Kimberly is my sister-in-law’s name. Dawn is the street I lived on in 1983 when I met them. Kurt claimed to have an aunt named Mary, for the Mary in the song “Lose Control” performed by Evanescence which I wrote when I was 15 in 1983. Leland Cobain is not Kurt’s grandfather’s name. In 1957, Frances Farmer met Leland C. Mikesell, an independent broadcast promoter from Indianapolis who helped her move to San Francisco. In all the years I knew Kurt, I never once saw in inject himself with a syringe. That is not to say he didn’t do drugs. The movie Straight to Hell released in 1987, the actress which goes by the stage name Courtney Love looking very much pregnant and I don’t believe that is padding. Do you? There is a girl who is part of their clan which Kurt Cobain claimed as his half-sister Breanne, who would be about the right age. Actually, Breanna is my cousins name which he used. Courtney’s character’s name in the movie Straight to Hell is Velma. In the town where I grew up, Trussville, there is a bar by the name of Velma’s Place. 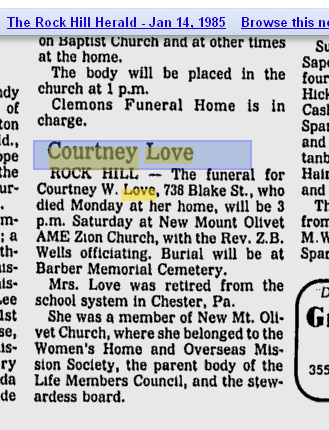 Just as Courtney Michelle Love is not her real name. 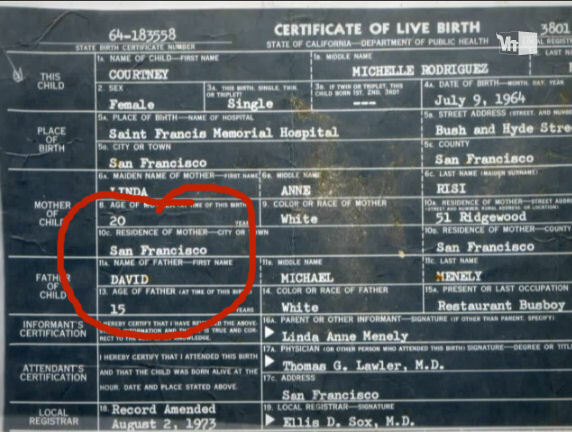 Her birth certificate is a fake showing her father at age 15 and mother age 20 at the time it happened to be recorded in 1973. Soon Joe Elliott brought band members of Adam & The Ants, INXS, Motley Crue, Gene Simmons, Tom Cruise, and Michael Jackson among many others to meet me. It was upon meeting Stuart Goddard, lead singer for Adam & The Ants, in June of ’83 who encouraged me to read newspaper articles for inspiration to makeup songs. 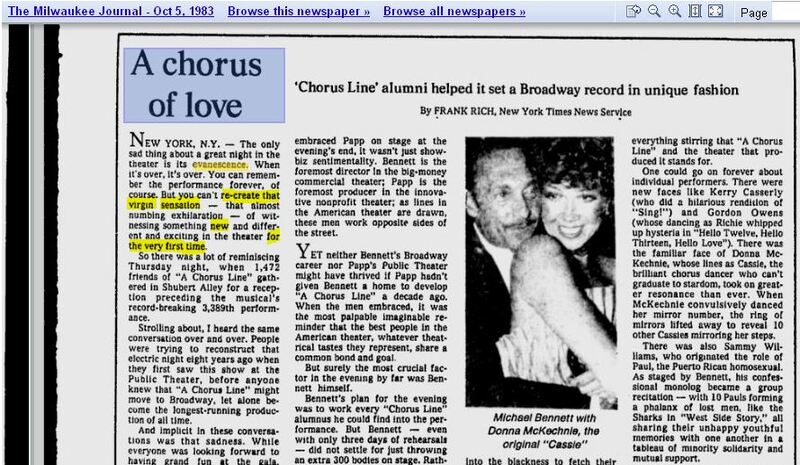 Inspiration to write Like A Virgin, performed by Madonna, and the name of the band Evanescence came from the review of a Chorus Line by Frank Rich of the New York Times Oct ’83. 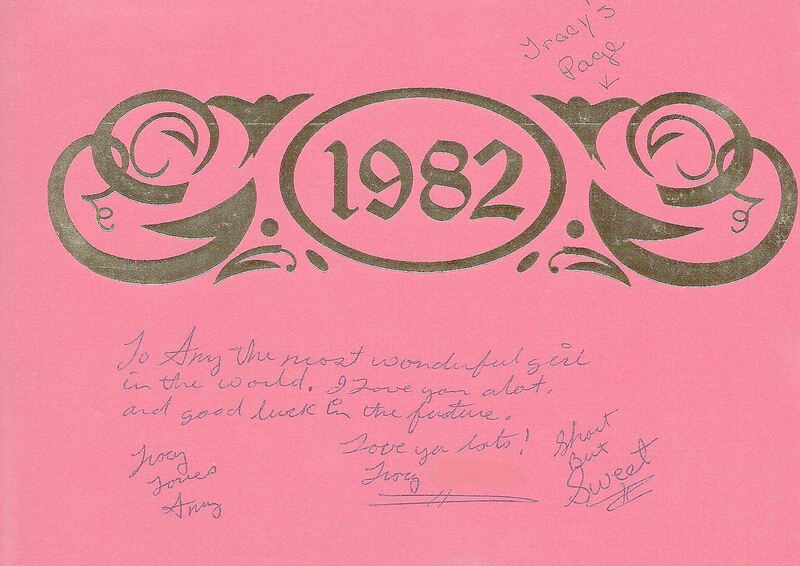 Sunday, May 15 , 1983, my friends invited me to the Def Leppard concert. I didn’t know who they were, but told it was a rock band. Of course, this was cool on so many levels being a 15 year old girl and never having been to a rock concert before. 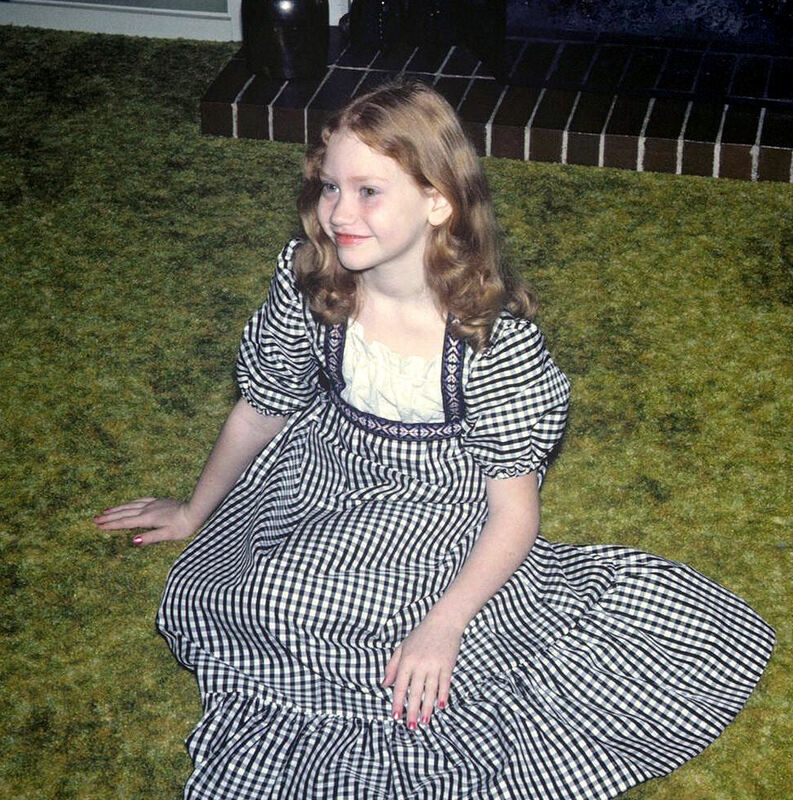 Monday, May 16, 1983, I returned home from school, dropped my school books on the dresser as the doorbell rang. A young goodlooking guy with bright blue eyes smiled as I opened the door. Without a word he pointed to the old van parked at the top of my drive. The side door swung open and my mouth dropped as the lead singer in full stage costume exited. If the phone had not started ringing, distracting me, I might have been more concerned about how and why this man knew where I lived. NOTE: In 1983 Def Leppard was on tour in the US promoting their January released Pyromania album as the support act for Billy Squier before embarking on their own Rock Till You Drop Tour. They ended the tour with Billy Squier in April of ’83 in Seattle and Oregon. May 15, 1983 the Swiss band Krokus was their opening act. Little known fact, Kurt Cobain was on the road crew for this tour. Singer, songwriter, founder of the band Evanescence. I was discovered by Joe Elliott, lead singer of Def Leppard, and a yet unknown Kurt Cobain in May of '83. I am not the lead singer Amy Lynn Hartzler.